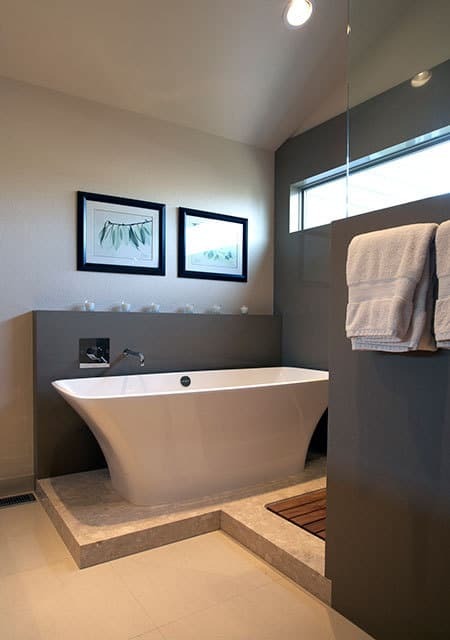 With an eye to the East, this contemporary bath takes on a clean Asian influence. 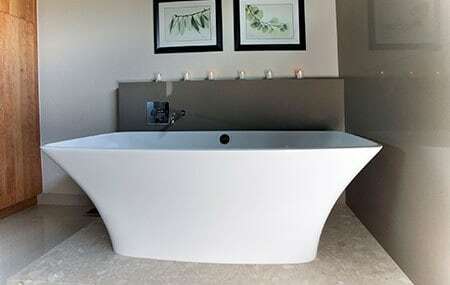 The extra-deep tub set on the raised tile floor borders on Japanese soaking tub style. 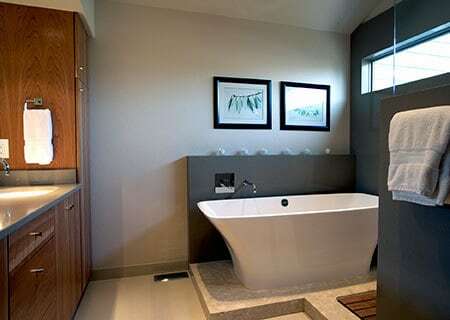 Behind the tub, a narrow wall adds accent color and a ledge for candles. 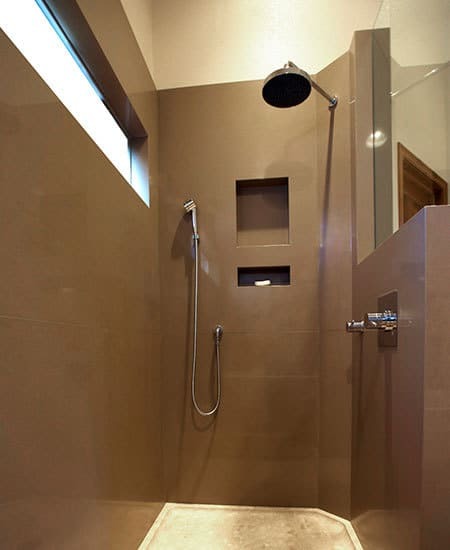 The shower features a teak flooring inset. The three-quarters wall offers privacy, while the glass above allows light to flood the room. The detailing is exquisite down to the square plate on the tub fixture coordinating with the square mounting plate of the towel holder.